Sandy essentially flooded anyone who built on the former tidal marshes. 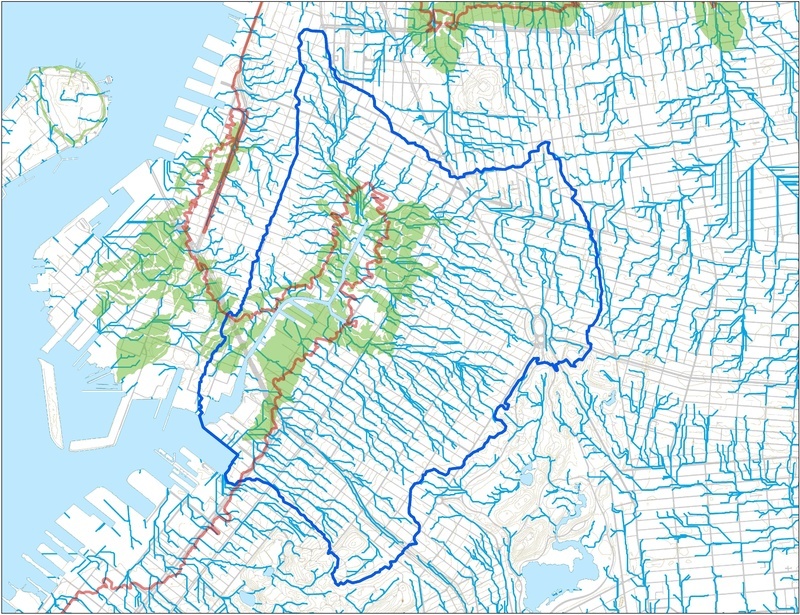 The dark blue line is the topographic watershed limit, and green is the historical (now landfilled) tidal marsh. The runoff model is based on existing land slopes (topography) and is similar to upland storm flood modeling done for Zurich Switzerland and Berlin Germany.